I just can’t seem to stay away from doctors and hospitals at the moment! This week, I spent Monday and Tuesday back at the hospital having more tests and doing a lot of waiting around. One of the most frustrating things about feeling ill is not knowing what’s causing it. I’ve got plenty of experience of doctors coming to see me and saying they’re stumped by my symptoms and can’t work out what’s causing them. It’s really frustrating and makes me start to question myself. But finally, on Tuesday, we had some answers! Turns out I have gallstones, which the surgeon said are likely to be causing some of my symptoms (although not all of them unfortunately). But I’m glad to know that there is something concrete that can be focussed on, even if it won’t get rid of all my symptoms. I’m just waiting to see my surgeon now to come up with a plan of action. Until then I’m keeping dosed up on strong painkillers and trying to get some rest. Although Spring isn’t my favourite season (it’s Autumn, in case you were interested!) it probably comes a close second. I just can’t help but feel a bit more positive after the cold, dark months of winter, when you see new life springing up all around you. Beautiful flowers like snowdrops, bluebells, daffodils and tulips – suddenly there’s so much colour around and I love it. I’m also a sucker for a baby animal, and living in the countryside I’m lucky to see lots of lambs skipping around in fields as we drive around. This week, a lovely friend of mine sent me some beautiful flowers to cheer me up (she obviously knows me well as I absolutely love receiving flowers!) I was excited to see that the bouquet contained an array of colourful tulips and some gorgeous smelling freesias. They are now arranged in a couple of vases in my lounge and make me smile every time I go in there. I don’t have a lot of energy at the moment, so I’ve been trying to find things I can do that will keep my mind occupied but not tire me out too much. 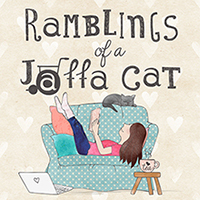 I’m a massive bookworm and always have a book on the go, but recently I’ve been struggling with my concentration – I just can’t seem to follow a novel at the moment – I tend to either start daydreaming, or just fall asleep and lose my page! A few days ago my Mum popped out to the shops, and she came back with a pile of magazines, which she thought I might enjoy flicking through. They’ve been a Godsend, as I can just look at the pictures if I’m having a bad day, but on better days I can read some of the longer articles. I do keep finding things I’d like to buy though, so I’m trying to be very good and keep my bankcard hidden away! Is there anything you like to do when you’re not feeling well? 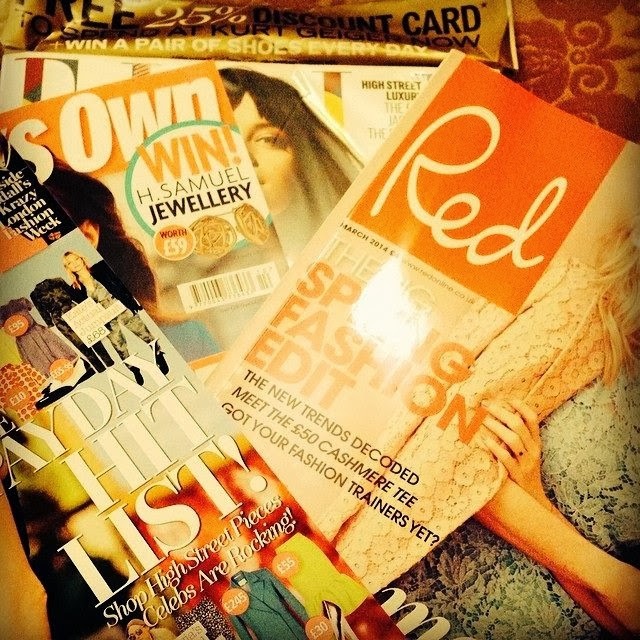 My selection of magazines! What magazines would you recommend? I was nominated for a Leibster Award!